As you may have noticed, our newest collections are making their way into stores worldwide. This Autumn and Winter we are giving you the best styles that provide technical features, style and of course- just the right amount of turning heads! Whether its dressing for those chilly autumn days that eventually will turn into winter or for hacking in the woods or working in the stables, for training or competitions- you will find what you need in this diverse and eye-catching collection. All thoughtfully created to fit your own personal style. Of course, we have not forgotten your horse or pony! There are styles that mix and match and will make you look like the perfect team. All this without compromising the use of the best materials to protect and give the right look for your four-legged, best friend. Here are a few of our favorite styles! If you want to know more, click on the photo to go to our web shop! 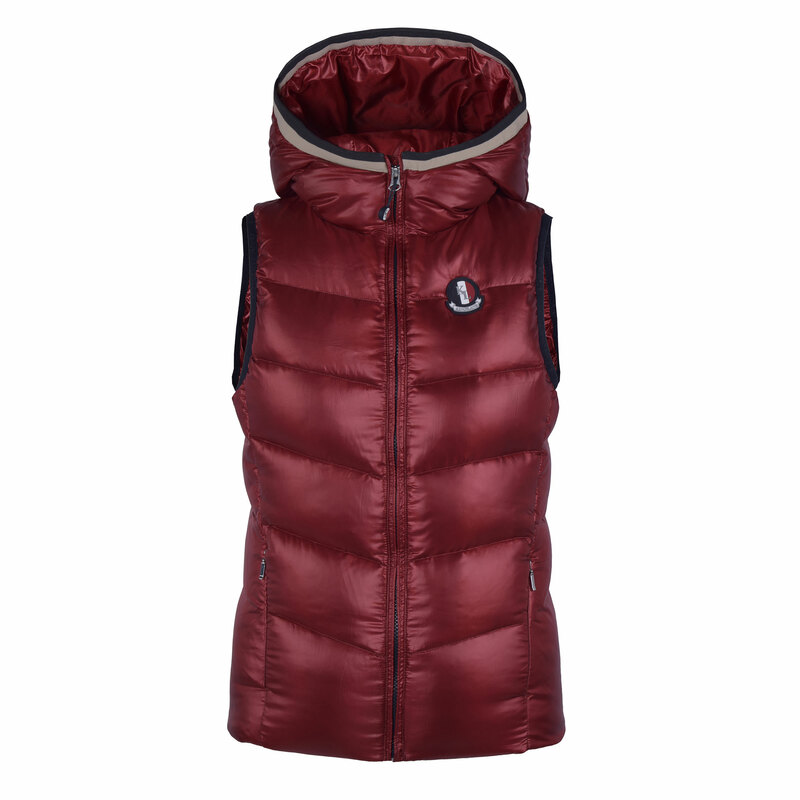 The Tilley Down Body Warmer for women is a super feminine, light weight style avaliable in foru colours. The down insulation will keep you warm, and is perfect for training with a fleece underneath or on top of your show jacket. Mix and match with the Katja Pull On Breeches for the coolest look! 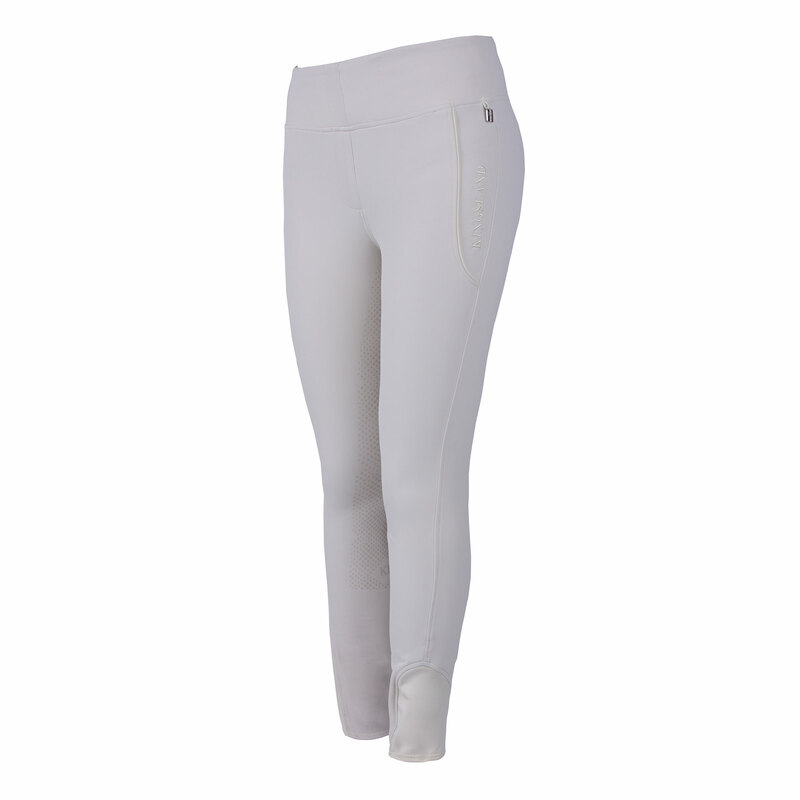 The Katja Pull On Breeches is the absolute bestseller in our breeches collections these days. The reviews are endless and it fits all types of shapes and sizes. Once you put one on, you don´t want to take it off! In this Winter Collection it is avaliable in six different colours and of course you can choose from full- or knee grip. Technical details range from being water- dust and grease repellent, breatable and 4-way stretch. Take you pick! 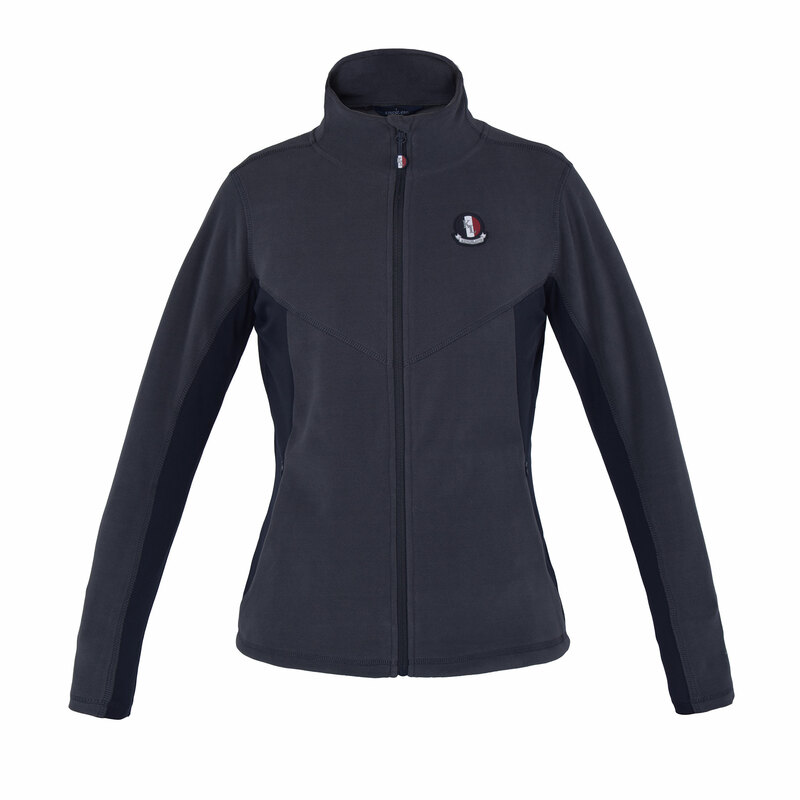 The Paige Micro Fleece Jacket for Ladies is soft and stretchy in a feminine and tight fit. Avaliable in in three different colours, blue, grey and navy it is easy to mix and match with your other favorite styles from the collection as well as previous collections. 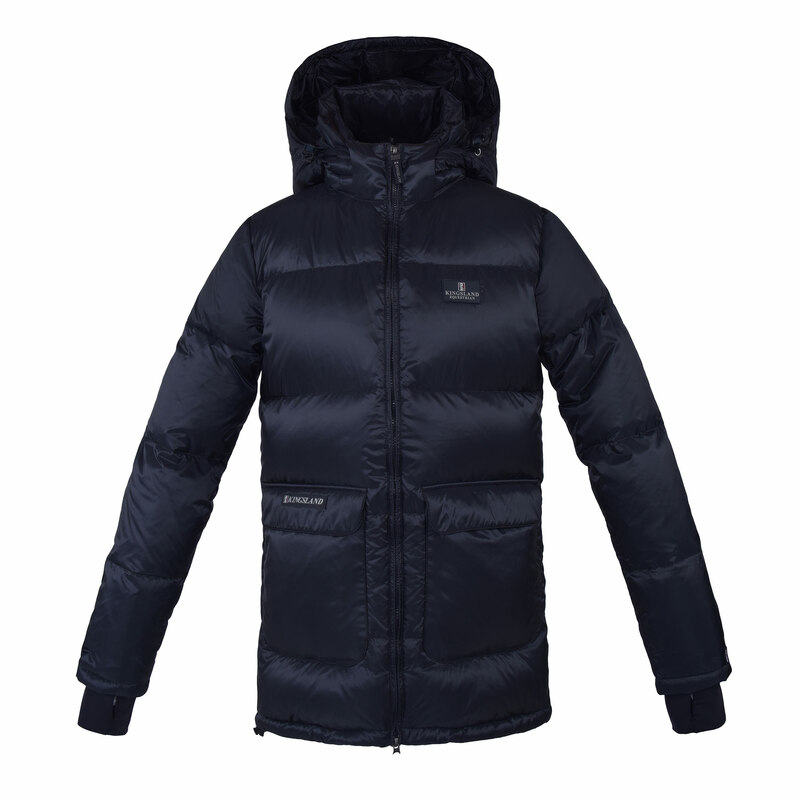 Features hidden pockets with zippers., lycra Insert panels on sides and under sleeves. Kingsland silicone patch on chest and embroidery on back collar. 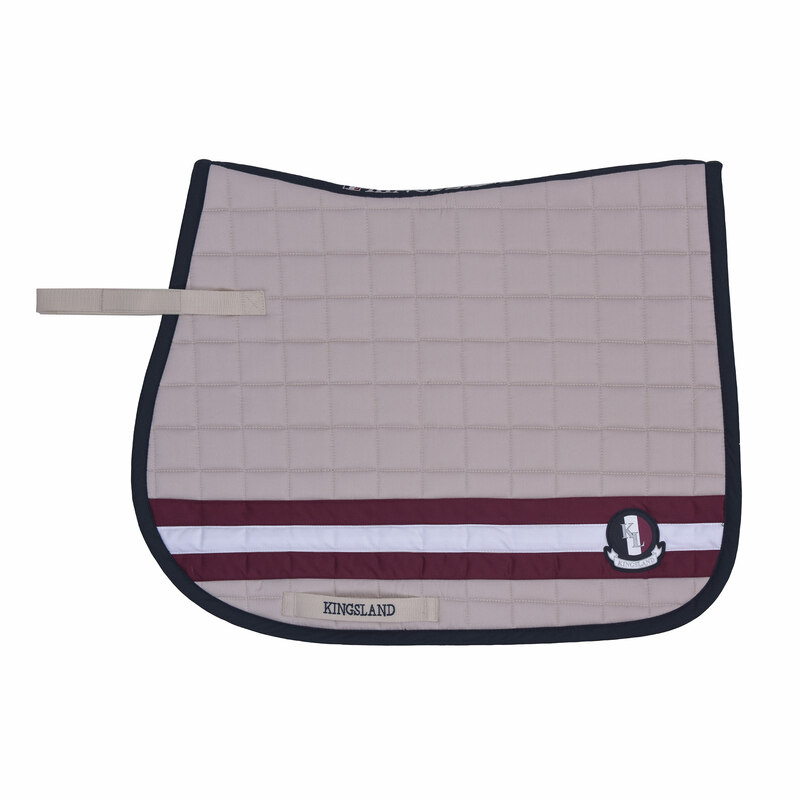 The Ambrose Saddle Pad with Coolmax is the best pick for your beloved horse. The effects of the Coolmax is proved to be a very quick drying material with a highly effective transportation of sweat and heat away from the back. The possibility to match your outfit is only an add-on! Brand logo embroidery on back band. Avaliable in sizes Pony, Jumping and Dressage and comes in three colours. 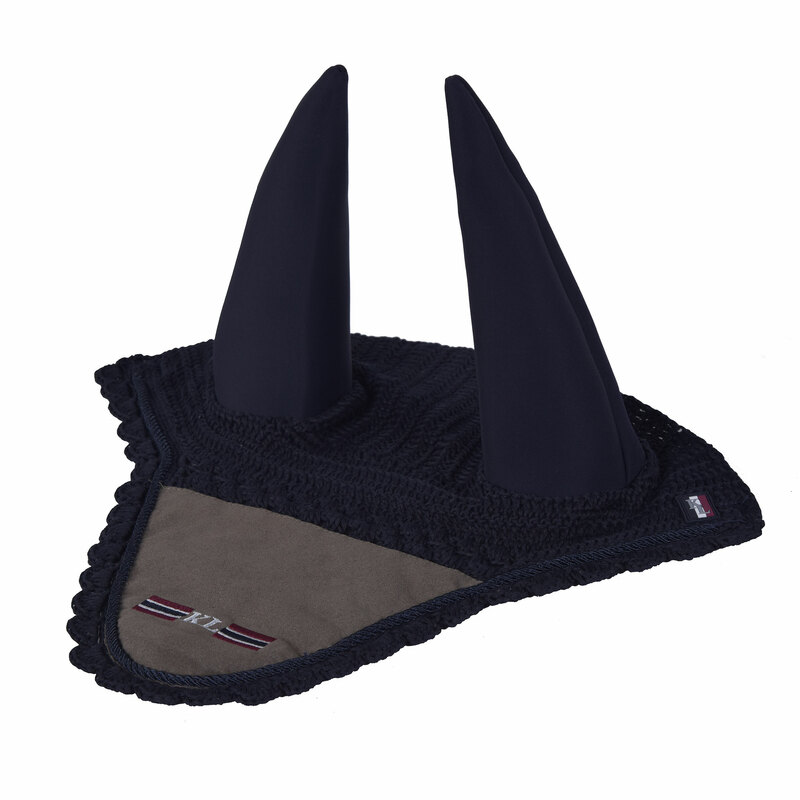 The Kris Fly Hat is avaliable in two colours and made to match your Ambrose Saddle Pad. Crochet with lycra ears, but also avaliable with noiseless ears as the style named Ames. 3 mm silk rope in matching colour. Suede leather panel in front with embroidery logo on top and rubber patch on left side.